Katherine Mansfield and John Middleton Murry introduced the Woolfs to Samuel Solomonovitch Koteliansky who was a Jewish émigré from Ukraine. Leonard and Virginia studied Russian with Koteliansky. 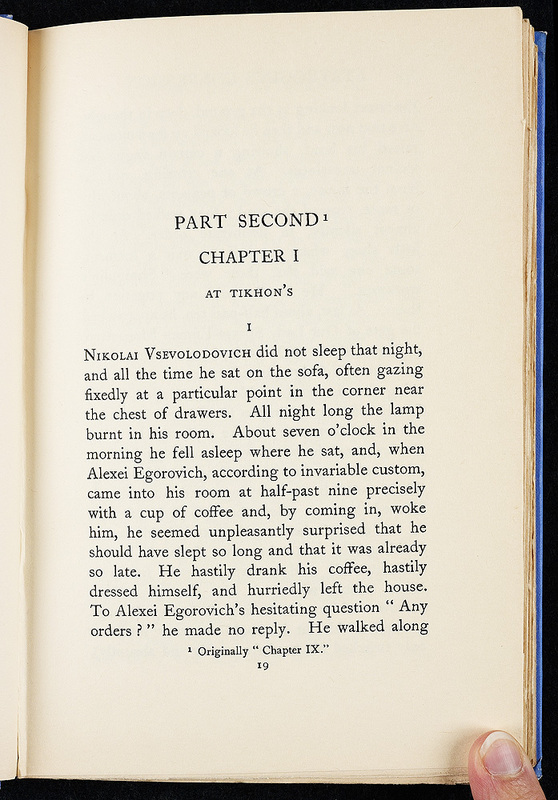 Stavrogin’s Confession—three unpublished chapters of the novel The Possessed—was Virginia Woolf’s first translation. She turned Koteliansky’s literal translation into standard English. Leonard also collaborated with Koteliansky on a number of translations of Russian literature for the Hogarth Press, including Maxim Gorky’s Reminiscences of Leo Nicolayevitch Tolstoi (1920). Fyodor Dostoyevsky. 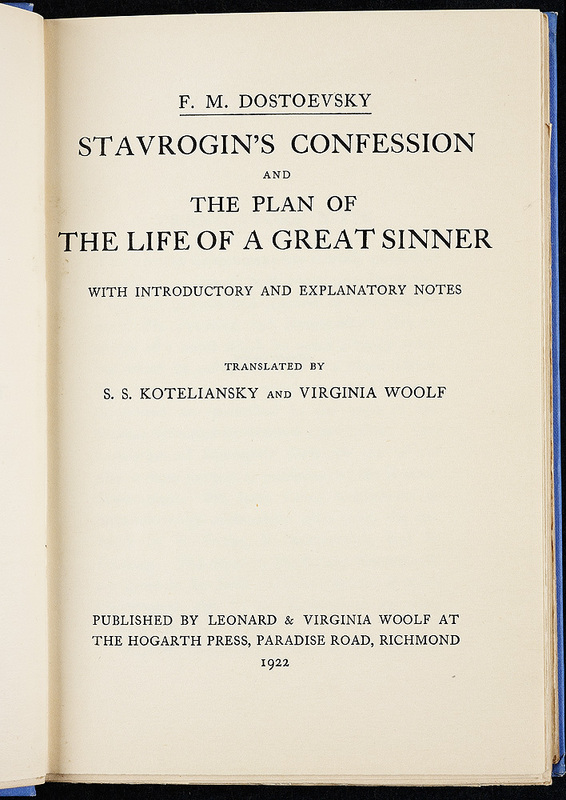 Stavrogin’s Confession and The Plan of the Life of a Great Sinner. Translated by S. S. Koteliansky and Virginia Woolf. Richmond: Hogarth Press, 1922.